Help your child to learn & love music! 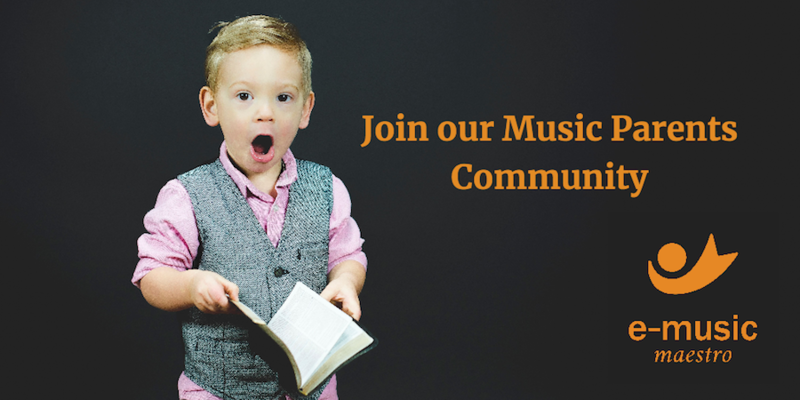 Join a community of parents who want to help their child or teenager to enjoy success in music. Receive FREE weekly Music Parent articles, relevant from early years up to university age. Choose whether you also join a closed, closely monitored group to video showcase your child's musical achievements, share your concerns, offer advice - or just chat. I'll be on hand to join in. All FOREVER FREE - no catch, no purchase, just friendly advice, information and expert help. Teachers who work with children are welcome too. Simply add your email address at the link below. And, just so you know, we never share your details. Sign up now! Can't wait for you to join us!